Keep reading for the next dermatology case and remember to include #teamhaem in your replies. 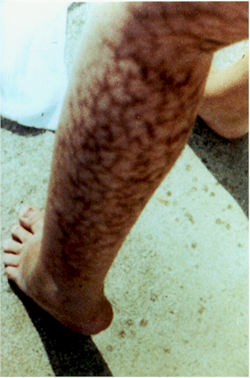 This entry was posted in Acquired bleeding, Anticoagulation, Related to other specialities, Thrombosis and tagged Antiphospholipid, Livedo reticularis. Bookmark the permalink.